Patryk has been dealing with with issues of information protection and ICT security for more than 15 years. At PwC he is a leader in the area of architectural and security advisory services, vulnerability management, and is working on projects for the largest Polish and international companies. His interests include Industrial Automation (SCADA) and IoT (Internet of Things). His team supports Polish and international clients in appropriate ICT risk management. 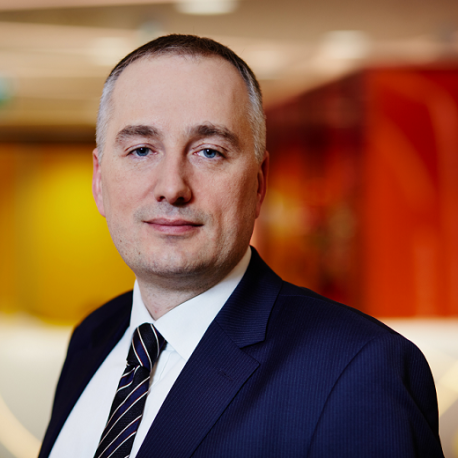 Before joining PwC, he led the team of IT & Telco security experts at Orange Poland. His responsibilities included security audits, risk analysis, penetration testing and defining standards in the field of technical information protection measures in information and communication systems. He is a graduate of the Faculty of Electronics and Information Technology at the Warsaw University of Technology, co-founder and member of the Association for Security of Information Systems ISSA Polska and Cloud Security Alliance Poland. It is certified with Certified SCADA Security Architect, GIAC Industrial Control Systems Security Professional, Certified Information Systems Security Professional and others.